Start taking classes at Optimal Sport 1315 and other studios! 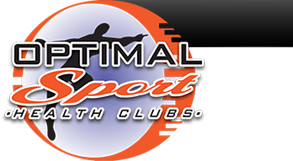 Optimal Sports Health Club is a full service, family friendly fitness facility, with well designed "open space concept" gym that has something for everyone. There are no upcoming “Warrior Work out” classes on this day. Please bring a valid photo ID to class. This might be a 5 star class for some, but the class was beyond my fitness level. Very hard and intense! Loved it.